Trus'me returns to his house roots four years since his soul dose, 'In The Red'. 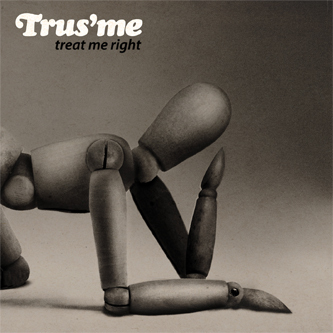 'Treat Me Right' serves eight tracks of lush, immaculate 4/4 with highlights in the electro-edged 'Hindsight', and the whirring, A Guy Called Gerald-esque tech flex of 'I Want You' on the first plate, plus the jacked-up throbber 'Somebody' or the dark-tinted, percolating groover 'Moonlight Kiss' on the 2nd. Strong stuff.